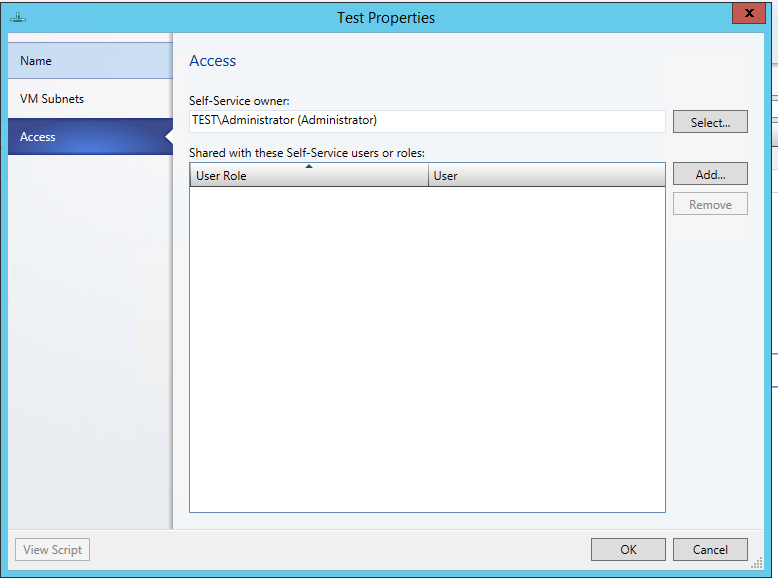 If you restart the VMM server service or wait 24 hours the User Role/s disappear from VM Network Properties Access tab. 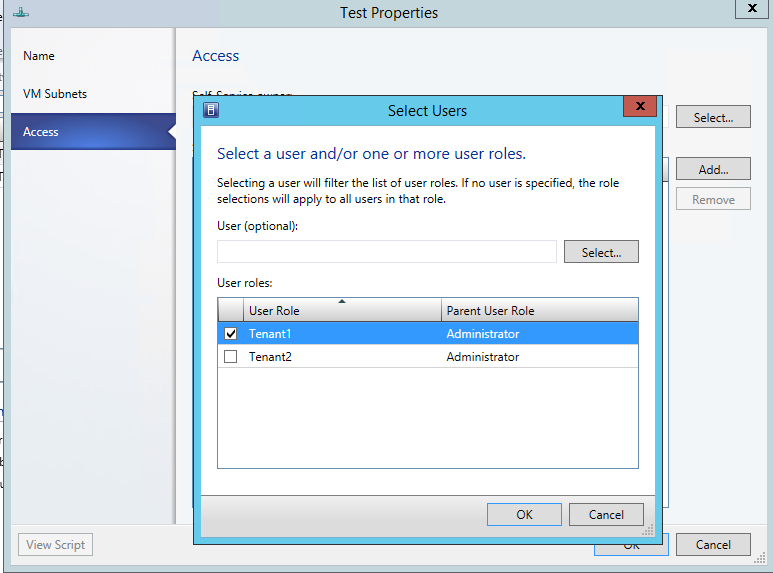 If you try to add the User in the VM Network Properties Access tab the job will execute as successful but the User Role will not be added. 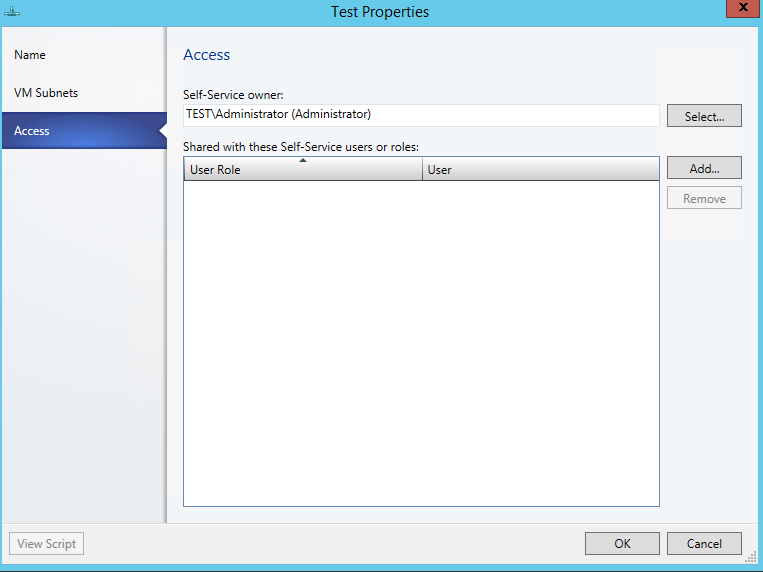 This behavior is present only after installing Update Rollup 1 for SCVMM 2012 R2. 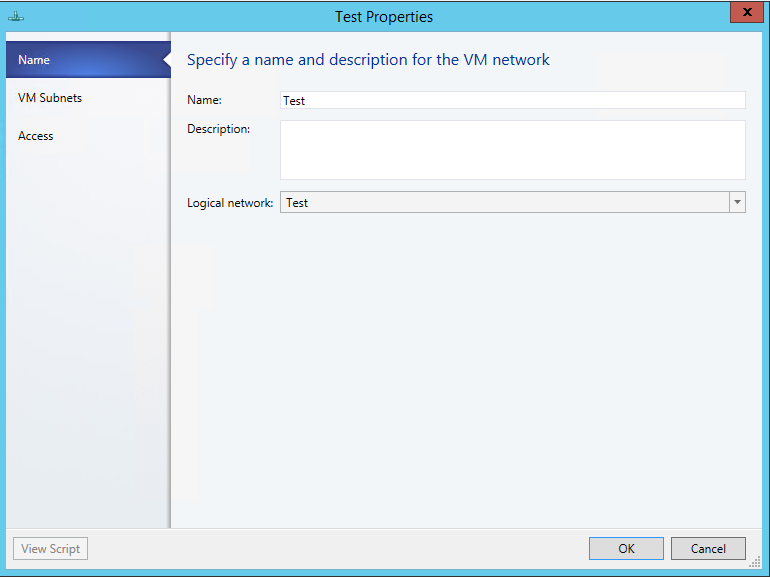 It is not present in the RTM version of SCVMM 2012 R2 or any previous version. 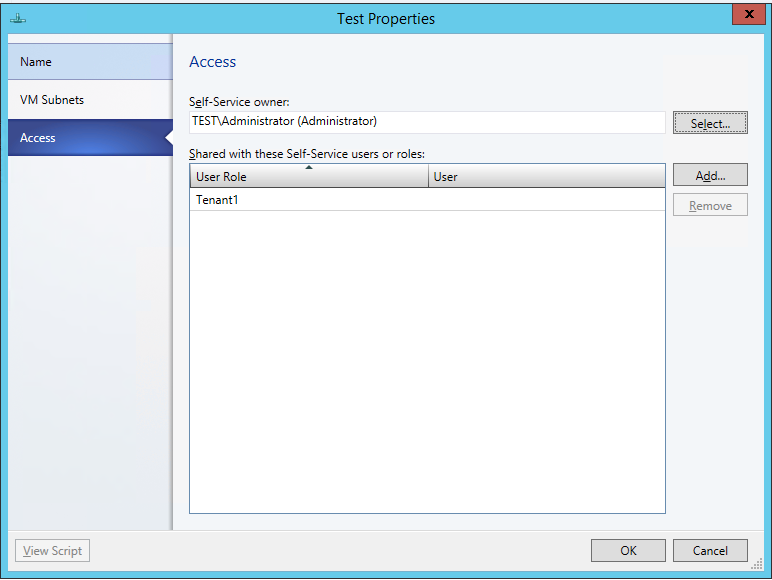 Do not install UR1, stay on SCVMM 2012 R2 RTM until official fix is released from Microsoft. 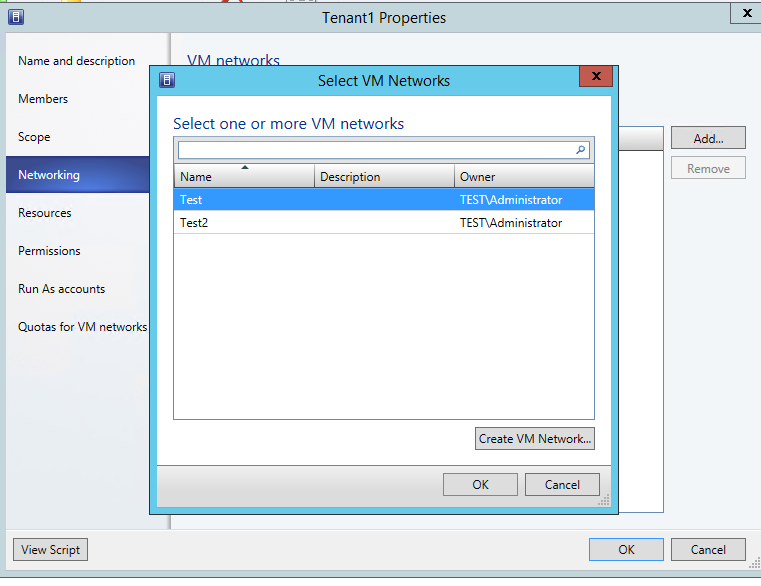 For every User Role open the Properties, remove he VM Network(s) listed in the Networking tab. Click OK to save. 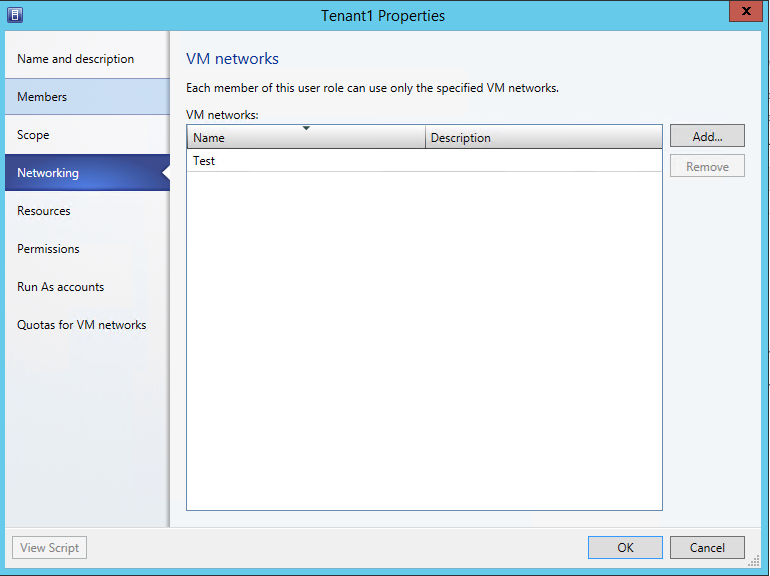 Open the Properties again and add the VM Network(s) again. 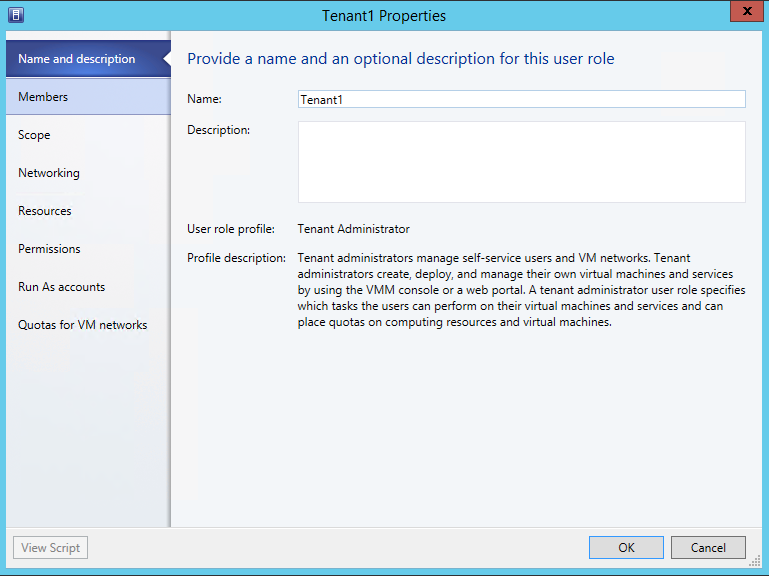 This will add the User Role again in the VM Network Properties Access tab. 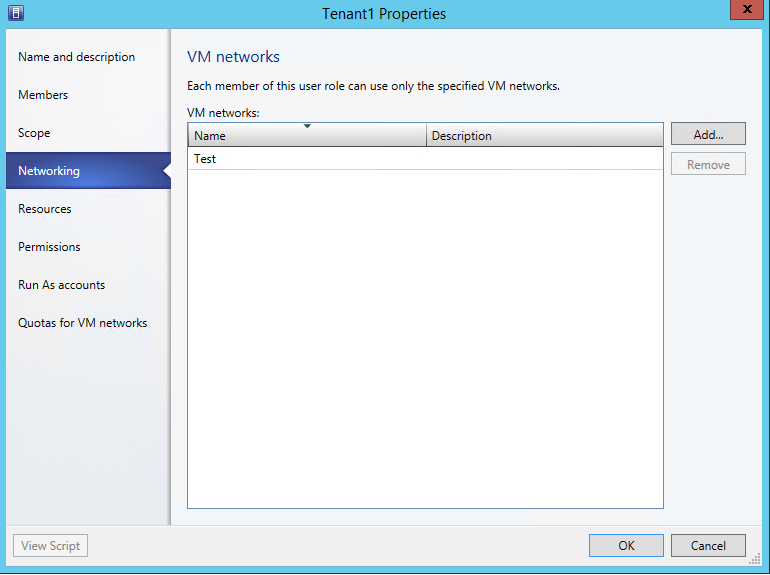 Keep in mind that you will need to that at least on 24 hour interval or upon VMM server service restart. 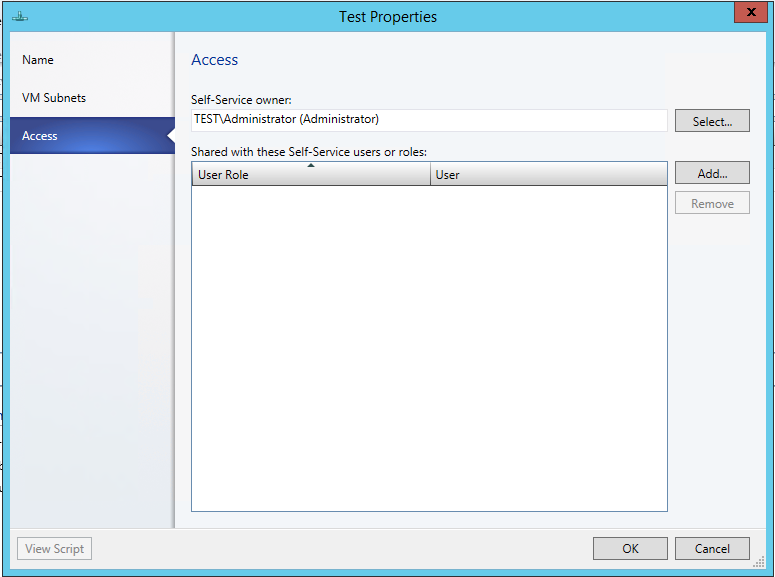 Try to build a PowerShell script that will do the same steps as in workaround 2. Run the script automatically every 30 mins or 1 hour. None of these workarounds is good enough but these are the only ones I’ve found until official fix is released from Microsoft.